A TV host (Tim Brinton) introduces an episode of "The Man and the Place", this week covering Colonel Vernon Wayne-Gilley (Kenneth Keeling), a noted travel writer. The colonel sits stiffly as he's introduced, then keels over, suddenly dead, when asked to nominate a favourite country. 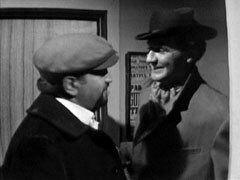 Steed visits the morgue, telling Dr Gilmore (John Horsley) the viewers got good value last night, it's not often someone dies in front of a television camera. "Better value than you think", says the coroner, "he was murdered". "You made my day", say Steed, and the coroner tells him the colonel had enough cyanide in him to kill a horse - "a couple of horses, you can still smell it". 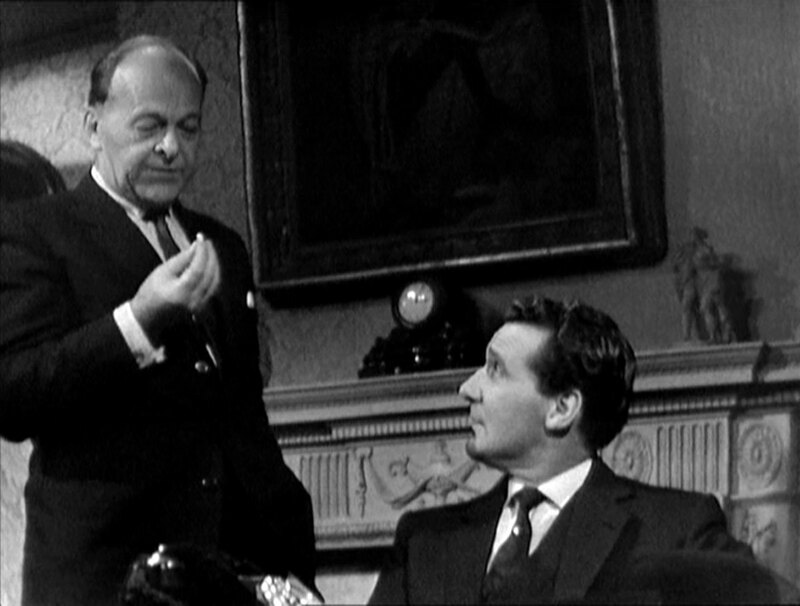 Steed is baffled as cyanide acts immediately and yet the colonel had been on camera for quite a while. The coroner shows him something found in the stomach - a gelatine pill capsule which contained a metal spring-loaded watch mechanism, which opened the capsule, packed full of cyanide. 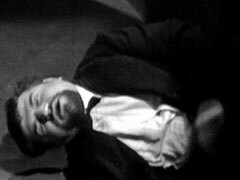 Steed takes the colonel's pill bottle to One Ten (Douglas Muir), showing him that every capsule was doctored - any would have killed him at 8:30 last night at 8:30. 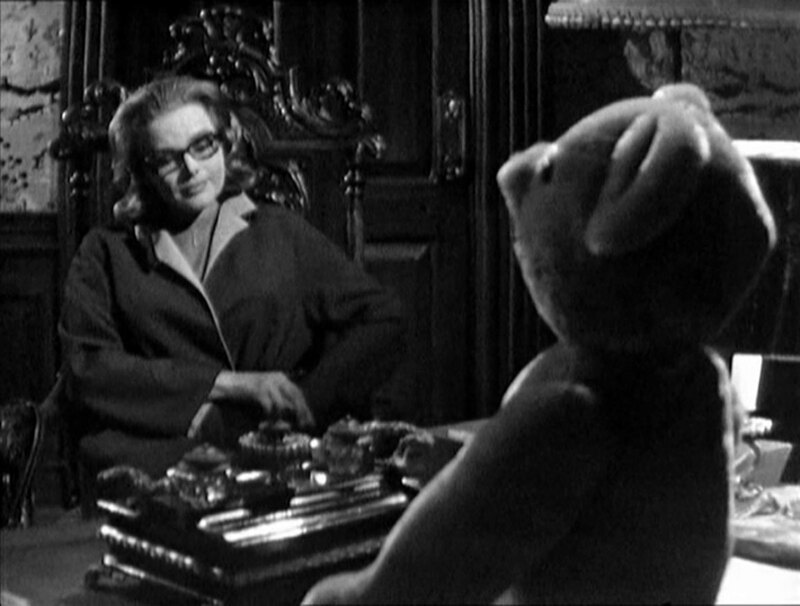 One Ten puzzles at the sheer cost of such a murder but Steed counters that it 'wouldn't be much to him', pointing out that One Ten has the suspect's file on his desk already - Mr Teddy Bear - a Resistance assassin who disappeared after the war, emerging later as a hired killer. One Ten says he is supposedly still in the country - unreliable sources claiming he has another job to do before leaving. Steed asks Cathy to announce she's in the market to have someone killed - Steed! They go to HQ where George (Michael Collins) starts the projector and she's shown slides of her supposed colleagues and memorises her cover story. Steed warns her to tell the truth where sensible, including that she's met him recently, and not to hide a gun in her stocking tops. Cathy wonders if they shouldn't try to grab him immediately and Steed tells her to just do what he tells her. Back at her flat, Cathy receives a letter and rings an answering service to tell Bridges that she's going to an appointment at Mantel's Holt that evening. Cathy noticing a motorcyclist following her on the way and stops to ask directions from a cafe girl (Sarah Maxwell) and takes the opportunity to immobilise her pursuer's bike when he comes in to get a cup of tea. She arrives at the house and finds it deserted and dusty; the drawing room is full of dolls and a teddy bear. is The bear orders her to sit down and excuses his sense of humour, she's offered her a cigarette from a case on the desk that opens automatically, and is shown a camera on the wall. Cathy says she has no personal motive for Steed's death but has been negotiating with him over the last few months but, being unable to reach an agreement, they want him eliminated. She asks the fee - £200,000, in diamonds. He asks for a down payment immediately, nominating her pendant. She leaves it on the desk and purloins the cigarette case, and is told she'll see him again in five days for full payment, on proof of completion. Steed and George go over her debriefing, trying to match the voice she heard. Cathy is peeved when Steed complains about her not discovering much. Steed says he has Henry Farrow - the motorcyclist - at his flat. The 'phone rings and the lab confirm there were prints on the case - chimpanzee prints! Steed interrogates Henry (Michael Robbins), mentioning the ignition lead Cathy removed, but lets him go after scaring him by mentioning teddy bears. "Big Bear I hear you are looking for me. S."
Steed receives an invitation to meet Mr Teddy Bear at Sorenso Imports Ltd. at midnight. He enters cautiously and covers a camera with his hat; when Mr Teddy Bear speaks he removes the death's head mask from the clown figure that appears to be speaking, revealing Henry's body. He searches the body and finds Cathy's pendant, which Mr Teddy Bear describes as worthless - to him at least. Steed pulls the camera's cables out, but Mr Teddy Bear says his "eyes are elsewhere". 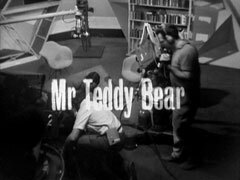 While Steed searches the room, Mr Teddy Bear tells him he has the distinction to be the first man he's been hired to kill twice - once by Cathy, and then by Henry. "I didn't realise I was so popular", says Steed. Steed removes his clothes to have forensics check them and One Ten tells him they found a lot of expensive television equipment and little else, despite getting there ten minutes after he called. They've checked his car and found nothing, and George finds nothing in his clothes, but they'll send them to radiography to be sure. Steed is pleased that Mr Teddy Bear is beginning to show himself but One Ten is unimpressed, complaining that Mr Teddy Bear has revealed little but has had a good look at Steed & Cathy. Steed outlines Mr Teddy Bear's 'death by gadgetry' method - if you fail you just try again with little risk. "He's been in the game as long as we have", Steed says and adds that it's a fair fight but One Ten takes him off the case, saying his judgement is impaired; he's ordered home as they've checked his flat for bombs already. Cathy is having breakfast when a large envelope arrives in the post. The 'phone rings as she opens it, extracting a photograph of the prone form of Steed while Mr Teddy Bear asks for the balance of £198,000 in industrial diamonds. "Not before this evening, and no later than tomorrow night" - he'll send a representative to collect. Distraught, Cathy rings 'Bridges', but is shocked when Steed stops her from making the call. "Why aren't you dead?" she exclaims. He makes light of the photo and she angrily asks him for the diamonds; he hands her a box, saying "Anything you say, be a good little girl and put it in your safe". He tells her to skip any appointments. She has one that evening with Dr Howell, an Upper Nile expert, but as she knows him well will keep the appointment. Steed visits One Ten who is annoyed with him and orders him to stay out of the way. Cathy's African tribal heads are examined by Dr Howell (John Ruddock) who excuses himself early, saying he has a plane to catch in the morning, and admits he hasn't been in the country long - "penalty for the job I'm in". He says he has something for her, and hands over an envelope. He admires another head and says, "Oh yes, I believe you have something for me", then looks shocked at the effect the letter has had. He checks the note and seems to think it straightforward - he'd been given the note by Teddy Bruin, one of his regular Bridge partners. 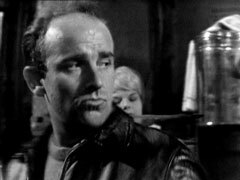 Cathy is suspicious, especially as Howell is insistent about the package and says she'll accompany him to the Voyagers' Club to meet Bruin. The 'phone rings and Steed's voice tells her to bring the package to Sorenso Imports - but it's a recording, played by Mr Teddy Bear. When she arrives, Mr Teddy Bear greets her and asks for the diamonds. He reveals that he knows Cathy & Steed work together. He's curious about the organisation and wonders why she thinks Steed is still alive. She is the closest an opponent had ever got to him, and he's faced for the first time with the need to kill a woman. He asks for her gun and announces he's going to retire, taking the diamonds with him. He says he doesn't want to kill her, and she can travel to the Mediterranean with him, leaving in the Aegean. He proposes she take a strong sleeping pill, so as not to be tempted to try to escape. She cautiously agrees, and he opens the package to verify its contents. When a jack-in-the-box pops out, Steed's voice announces "I am the demon king!" and Cathy grabs the assassin's gun. 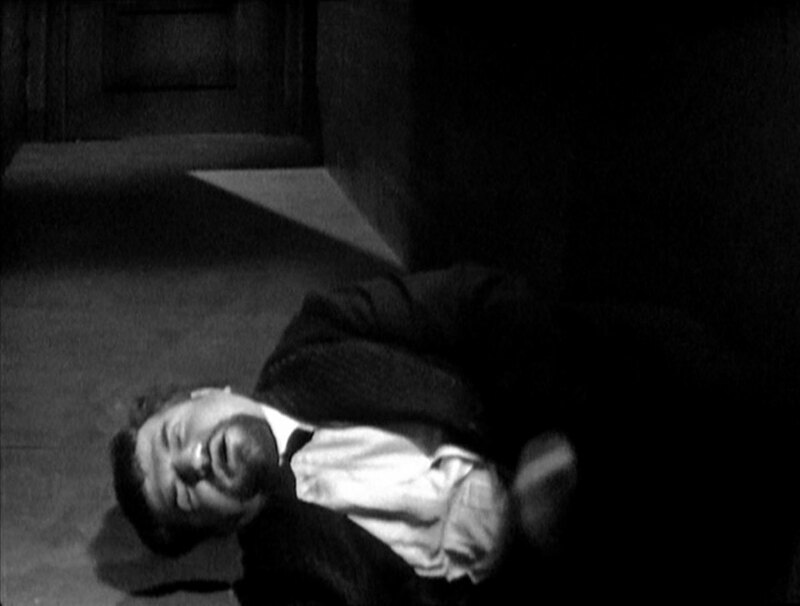 Steed says he hadn't expected nerve gas and a blistering agent, and Mr Teddy Bear casually announces the door is locked, the room steel-clad and they're not going anywhere. Steed wants him alive so Cathy orders him to take one of his sleeping pills. He looks scared but takes one. He then immediately suggests they go, and will open the door with her permission. Cathy is cautious but Mr Teddy Bear says even if he disarmed her now he wouldn't be able to go very far, only an animal fights to the death. He opens the door, Steed & Cathy holding guns on him, and he apologises for having lied to a lady, staggers down the hall and collapses, dead from poison. Steed drops by Cathy's flat to go over 'his homework' Cathy won't let Freckles sit on her sofa, so Steed reads out the end of the report: "subject committed suicide while in my custody by means of poison". She hands him an envelope she found in Mr Teddy Bear's pocket, addressed to Steed, which contains a strongbox key. "Careful how you open it", she laughs.